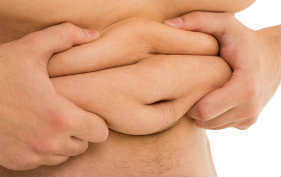 Excess belly fat is not only a common vanity issue but also a serious health risk. However, it is a completely preventable health risk. You have absolute power to do something about your excess body fat. So how bad do you really want to get rid of it? Regardless of whether you want to get rid of excess fat for health reasons or because you want to look better, there is no better time than now to start learning how to lose belly fat once and for all. With the correct mindset, motivation and action plan fat loss can be quite easy and enjoyable. There are many ways to achieve significant fat loss results. Today we are going to share some of our best fat loss tips with you so you can finally start to get rid of that dangerous belly fat once and for all. Don’t procrastinate any longer. Step up and take massive action today. Start applying these simple tricks to your everyday life and you will be well on your way to achieving the body of your dreams. Good luck on your fat loss journey. Getting the recommended 8 hrs of sleep per night will help you recover both mentally and physically so you are ready to tackle your health and fat loss goals. Lack of sleep can also cause weight gain due to hormone disruptions. For example cortisol, a fat storage hormone tends to increase during periods of reduced sleep. Remember the more hours that you are awake the more hours that are available to over eat. It is very common for people to avoid starting an exercise or diet regime as they tend to make excuses and procrastinate. People may make excuses such as “I don’t have the time” or “I am too overweight”. In order to stop making excuses you must face your fears and acknowledge your limitations. Be honest with yourself. Write down the barriers to weight loss that you expect to face. Come up with an action plan to help overcome these barriers that are preventing you from getting the body of your dreams. The fact that you are looking for tips on losing belly fat tells me that you are ready to make changes. Changing your thought patterning does require some work. The trick is to reprogram your subconscious as this is the major driving force behind positive behaviour change. Read more about reprogramming your mind for weight loss success here. Remember fat loss is very achievable. Stop making excuses and just get started by focusing on making changes, not dwelling on the past. Before starting a diet you need to ensure that you are truly motivated and focused on weight loss success. In order to develop the discipline and determination to succeed you must use techniques such as goal setting and visualization. The concept of weight loss motivation is quite complex so if you would like to learn more about developing strong weight loss motivation I suggest you read our Weight Loss Motivation 101 article here. We also recommend the Weight Loss Motivation Bible (affordable and effective program). Read our review here. Why do you want to lose weight? Is it for health reasons? Is it so you can be more active for your family? Is it because you want to live a long active life? Whatever your reason it must be compelling. Spend the time everyday focusing on why losing fat is so important to you. I understand this can be easier said then done. Sometimes life just gets in the way. In this case audio books can come in very helpful in helping you gain the correct perspective. Find out more about the leading weight loss audio program here. One of the best things you can do to start losing belly fat is to remove sugary sodas from your diet. These drinks are full of empty calories. This means that these drinks only provide you with nasty chemicals and sugars. Instead of soda, substitute for plain water, soda water, teas or fruit juices. Fruit juices can provide many health benefits. There is quite an art and a science to juicing for fat loss. To learn more about juicing for fat loss read this article. Leading juicing program “Juicing for Fat Loss”. Click image to learn more. If you want to burn fat you should eat foods that contain fiber. Fiber can help you feel full and it also acts as a natural appetite suppressant. Beyond providing many health benefits and keeping you fuller for longer, fibre can also help lower blood cholesterol levels. One of the best sources of fiber are beans, which contain 8 grams per 1/2 cup. Fibre is also abundant in most veggies and whole grains. Harness your rawest emotions and channel them into a positive determined mindset. Remember how bad it feels when you want to go to the beach but are too ashamed to take off your shirt. Think about how horrible a future in which you are riddled with obesity related chronic disease would be. Get emotional and use it to fuel your fire. When first embarking on a fat loss journey it is very easy to become overwhelmed and believe it is going to be difficult. If you think like this you are already defeated. With the correct plan (we have reviewed some of the world’s most popular diets here) and mindset weight loss can be easy. Just take it one day at a time. Step by step. Small changes add up quite quickly. There are just so many fat loss diet programs on the market today. Some are designed to help you lose weight super fast, some are designed just for women, some for men only. Some require exercise and others a purely diet based. To help you out. We have searched the marketplace and located the world’s most popular diets. We have also comprehensively reviewed and rated them. Check them out here. Positive affirmations are repetitive positive goal orientated statements that feed your subconscious mind . These statements must be very specific to the goals you want to obtain. They can be coupled with visualizations to make them even more profound. Keep a food diary of all the foods you have eaten over the course of a day. This can be a tedious but very rewarding task. The food diary will allow you to see where you have gone wrong. More importantly it can show you how many days you have eaten well. This can be a great reminder to not to go and undo all of your hard work. By eating slower you will signal to your brain that you are feeling fuller at a relatively lower food intake then if you were to eat fast. Research has shown that it can take around 10 minutes or more for the signal that you’ve started to eat to make its way to your brain. Chew your food well to release all nutrients to help send the satiety signals to your brain. Also use a knife and fork to help slow down the eating process. If possible team up with a family member and friend for your weight loss journey. Set goals together, prepare meals together and workout together. Having a partner in weight loss success can provide the little extra motivation and support that you may need to get the body of your dreams. Be there to pick each other up when the times get tough. Also, tell your family about your weight loss goals so they can support your healthy behavioural changes even if they are not participating. Simple carbohydrates usually contain high glycemic sugars that tend to spike blood sugar levels. This results in insulin spikes which drives these sugars into the cells of the body. This can be detrimental to your fat loss results as insulin can cause these simple carbohydrates to be converted and stored as body fat. 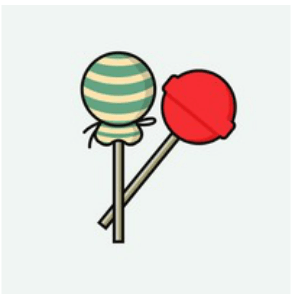 Foods to avoid include things like lollies, soda and sugary cereals etc. It is very common for your subconscious mind to be lured in by the temptations of junk food. Have you ever said that you were not going to eat something and then before you know it you have it in your hand and are munching down on it. Only stock your fridge and cupboards with healthy options. This will help reduce the incidence of home based binge eating of the wrong foods. Also be sure to stock your workplace with healthy options. Of course you will have to show true dedication when eating out. There is so much information out there on the internet. Some companies will tell you anything to sell their products. To sort the fact from the fiction it is always important to approach the topic of weight loss with an open mind and critical thought. Learn about the science behind the diets or supplements. Find out if the authors of these programs are credible. We understand that some people just don’t have the time to do the research. In this case perhaps you would find our program reviews helpful .We have done all of the investigative work for you. Check out our highest rated programs and read the reviews to learn about the pros and cons. Fat binders are a great weight loss solution for people who have trouble controlling their eating behaviours. Essentially fat binders mop up the fat you eat and make them indigestible allowing the fat to safely travel through your body without being absorbed. Leading fat binder pill Proactol XS can actually bind up to 800x it’s own bodyweight. This product is backed up by some really nice research that is worth checking out. We recently reviewed this leading fat binder pill. You can read our comprehensive review here. To achieve significant fat loss you need to take in less calories through foods or start burning more through exercise and supplementation. Start to read the nutritional labels on foods so you can become more aware of exactly where you may be going wrong. Once you gain an understanding of nutritional labelling you will be able to look for lower calorie substitutes. Correctly prescribed yoga can be a great way to torch that stubborn belly fat. Best yet yoga also provides many additional benefits such as improved flexibility and mobility. We recently reviewed the leading yoga program called “Yoga for Belly Fat”. This program provides excellent value for an extremely affordable price. There are other yoga programs on the market but none that are developed to target fat loss as well as this program does. It also comes with some really helpful diet and weight loss resources such as diets and recipes. We recently reviewed the program so if you want to learn about whats included in the program plus an indepth look into the pros and cons I suggest checking out our Yoga for Belly Fat review. Remember, we humans are hunters and gatherers by nature. Food should be viewed as a means of providing our body with the macronutrients, vitamins and minerals that our body requires. Try not to get to caught up on putting food on a pedestal. Instead learn what your body truly needs to function optimally without putting in empty calories that will lead to weight gain. Use food as fuel. Nothing more. Fast food chains are everywhere. Wherever you look there are advertisements trying to lure you in to try there next delight. Remember these companies don’t care about you and your health. They are just out to make money. Learn more about choosing healthy foods on our site. These days more and more health conscious restaurants/cafes are opening up so there is no excuse not to choose an alternative healthy option over conventional junky fast food. Foods like apples, celery, and other fruits and vegetables, are not only low in caloric content but also take the body a much longer time to digest. Fibrous fruits and veggies like these take longer to chew making it less likely for you to overeat. To optimize fat loss results it is always best to follow a diet plan that is tailored to your specific needs. Perhaps you could contact a local dietician who could help you design a nutrition and exercise regime. There are also many well respected health coaches available online. If you are after a cheaper alternative there are prepackaged programs available that allow for personalisation of the program. For women we recommend The Venus Factor Diet and for men we recommend The Adonis Golden Ratio. Start to think of housework as valuable physical activity that all adds up to your daily energy expenditure. The more you housework you do the more fat you burn. Try to appreciate the physicality of jobs such as vacuuming the house or mowing the lawn. Many people start their day with a sugary breakfast. This can be either knowingly or unknowingly. Sugar can be hidden in many common breakfast cereals. It is also common for people to start the day with fatty pastries and meats for brekky. Instead choose wholesome low sugar options such as whole grains breads, cereals, fruits veggies and lean meats. Always chew your foods thoroughly when eating. Chewing helps optimize digestion of nutrients. This means that is is easier for your body to utilise them for the metabolic processors required. As I mentioned earlier chewing your foods can also help you feel fuller meaning that you will tend to eat less. Studies show that most overweight women who struggle with weight loss have Leptin hormone resistance. These women typically can’t lose weight as easily as others. The body actually detects this state of Leptin resistance as starvation. This is very counterproductive to weight loss as the body responds by switching to fat storage mode. Leptin resistance can also downregulate thyroid function and metabolism. Having these components down regulated means that you are essentially burning less calories per day. We are only aware of one diet plan that tackles this issue effectively. You can read our review of this diet here and also learn more about leptin resistance and how it may be inhibiting you from achieving the body of your dreams. Try not to eat for at least 3 hrs before bed. At this time of the night your hormones are prepped for fat storage mode. You will also be sedentary for the following 8+ hours so any energy consumed before bed will likely be stored as body fat rather than be utilised for energy. Have a large healthy meal and a glass of water before you go shopping for groceries. When you are full you will be less likely to purchase poor food choices. Hunger can cause impulse buying and when your at the shops temptation runs rampant. Fill yourself up before shopping and you will overcome the temptation at hand. Protein is the major building block of human life. It also helps us feel fuller for longer. Most effective weight loss diets are usually high in protein. Sometimes it is difficult to take in adequate protein through foods so a supplemental powder may be handy. Do your research when choosing a protein powder. Be sure to choose from a respected company who minimises the likelihood of contamination. For high quality protein powder we recommend checking out bauernutrition.com. The most popular protein supplement is whey protein which is derived from dairy. Vegetarian options such as soy, rice and carob proteins are also available. Spicy foods can really help spice up your metabolism. This means that throughout the day you will be burning more calories than if you didn’t consume the chilli. Of course different chillies have different effects on the body. So do your research to find which ones are right for you. enzymes. Enzymes help the nutrients in foods get to where they need to go within the body meaning that you can maximise the nutritional profile of the food. Enzymes are most effective when foods are consumed raw. So be sure to enjoy raw or lightly cooked fruit and veggie options. Juicing can also be a great way to turn bland vegetables into tasty juices. Do you ever find yourself eating when you’re not hungry? Sometimes emotional stress can lead to binge eating. Perhaps you feel peer pressure to eat and drink more when socialising with friends. You must be aware of your true eating requirements at all times. Get a diet plan and stick to it. Show determination. If you are out with your friends socialising make healthy choices such as choosing water over alcohol or soda. Spend the time learning what a healthy snack is. There are many healthy options available such as nuts, fruit, low fat/sugar yogurt. Always be prepared when you know that you are going to have to purchase a snack while you are out. Familiarise yourself with shops that sell healthy snacks so you are not caught out buying unhealthy choices. If you decide to eat while watching TV you are more likely to overeat. The brain requires visual feedback to help create a sense of satiety from the foods we eat. Take a good look at your food throughout your meal and you will find that you will eat less at a sitting rather than putting masses of food away while watching your favourite shows. If you are on a diet, eating just a few restaurant meals per week may throw you off track. It is very difficult to quantify exactly how many calories are in your restaurant meals. For example even if you decide to choose a “healthy” salad option you could potentially be taking in more calories than a large Mcdonald’s meal. The dressing could be loaded with oils. The main objective of a restaurant is to make their food taste great. To do this they use large amounts of sugar, fat and salt. Remember if you want to lose weight you need to change the way you perceive food and make sacrifices. Start to enjoy the tastes of natural healthy foods rather than sweet, sour and fatty. Trust me, if you stick to a healthy regime your palate will change and you will wonder how you ever ate so much restaurant or fast food. Take the time to jot down the things that may trigger you to overeat or binge eat. Perhaps it is a stressful day at work, perhaps you overeat when socialising with friends. It is guaranteed that you will face these triggers in your life. You need to spend the time developing an action plan. Weigh yourself weekly. Keep track of your exercise achievements. These things will help you stay motivated. It will also provide a reference point to how far you have come. One day you will look at these photos and wonder how you ever “let yourself go” so far. Best yet, you will feel proud of your accomplishments and know that you will never be turning back. How to lose belly fat tip #39: Control the Portion Size of Your Meals. In order to lose belly fat you must control your food intake. A great tip to reduce the amount you eat is to serve food up on a smaller plate. Remember not to serve yourself up seconds. 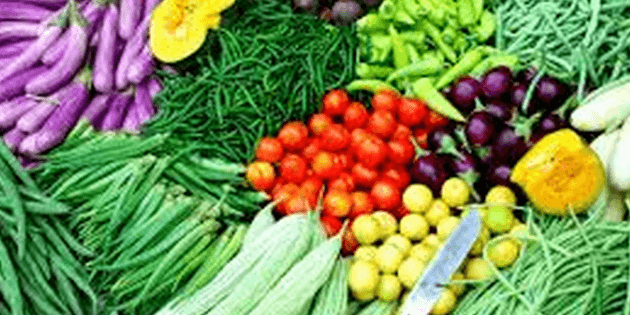 Veggies and fruits are full of vitamins minerals and fibre. Eating these foods will nourish the body plus keep you feeling fuller for longer. Take the time to incorporate all of you senses into the preparation and eating of your meals. Smell the food, take note of the colours, feel the texture of the food. This will help tell the brain it’s time to eat. Better yet when you’re finished it will help you tell your brain that feeding time is over. Women in particular can tend to crave chocolate. Sorry to say but the only way to curb chocolate cravings is to go cold turkey. Simply don’t store any in the house. Resist it while you are out. The cravings will downgrade once you have resisted temptation for a while. Set short and long term goals and when you achieve them reward yourself with a pre planned gift. Don’t go stuffing yourself at an all you can eat buffet. Instead take yourself clothes shopping or spoil yourself to a weekend away. Using a smaller fork or spoon can help those of you who struggle with overeating. Smaller utensils will mean it will take longer to consume a meal. Therefore you are more likely to get fuller quicker. Joining an online forum can be a great way to stay motivated to lose weight. In an online weight loss community you can chat with likeminded individuals who are embarking on the same weight loss journey as you. This is a great way to remain accountable. Two of the best diets that provide access to community forums are Venus Factor (women only) Adonis Golden Ratio (men only). Use the scales to check your progress at regular intervals. Every couple of weeks is a good amount. Any more often and you could become disheartened. Remember that weight is not necessarily the best indicator of weight loss particularly if you are doing resistance exercises. In this case use your waist measurement as a guide of your progress. Remember you are after fat loss not weight loss. The way your clothes fit can also be a great indicator of your fat loss progress. Have you ever ordered a coffee and then decided to have a sweet treat on the side. Try to avoid the coffee shops so you don’t have to fight the temptation. Keep positive on your journey and good things will happen. Positive thoughts lead to positive behaviours. Believe in yourself. Try to snack at regular intervals (every 3-4hrs) as this will prevent the chance of binge eating after a fast. Eat snacks that are high in fibre and protein to ensure you stay full until the next meal. Not eating for extended periods of time puts your body into state in which it starts to break down muscle tissue for energy. Worst yet, in this state it actually starts to conserve fat stores. Being overweight is a leading factor in the onset of many nasty chronic diseases. These include leading killers such as heart disease, stroke and diabetes. Fear can be a powerful motivator. A list of these horrible potential outcomes may inspire you to make changes before it’s to late for you. We recently wrote an article on the dangers of belly fat that you may find helpful. Protein is the building block of life. Protein helps to repair and replenish your body. Protein also creates a sense of satiety meaning you feel fuller for longer. Approximately 20% of the calories per gram protein are burned during digestion. This is significantly higher than when compared to carbohydrates from which only around 5% are used up during digestion. Therefor by substituting carbs for protein at every meal you are essentially placing yourself into a fat burning state for longer. Add eggs to your breakfast.Eggs contain protein called albumin which can help keep you feeling fuller for longer, plus it stimulates your metabolism. Alcohol is very destructive for fat loss. Alcohol is high in calories and usually contains additional sugars. Another issue is that while people are under the influence of alcohol they tend to make poor decisions. Often when under the influence dieters will lose focus and eat foods that they would not eat if sober. If you fail to plan you plan to fail. Take the time to make to make a nutritious meal to take to work.When you are at work, you may be tempted to eat from vending machine and fast food cafes if you are unprepared. Be proactive rather than reactive when it comes to eating. Find a diet that is science based, realistic and safe. Investigate the program to see if the outcomes match with your goals. Find out more about the world best programs here. Set realistic and achievable short term goals. Write your goals down on paper. Don’t push your short term goals too far away. By achieving your goals you will be become more and more motivated. Before your start your weight loss journey take a picture of yourself. You will then be able to refer to this photo in weeks to come. This will provide you with the extra motivation you need to keep going. Weight training builds muscle mass. Muscle mass is very metabolically active. That means the more muscle mass you have the greater number of calories you burn per day. You don’t have to be bodybuilder status to reap the rewards. Just a small increase in muscle mass can have quite a profound effect on overall calories burnt. Plus as you lose more and more fat you will begin to look more toned rather than the “skinny fat look”. Taking a few moments while lying in bed to refresh your goals can be a great way to stay on track. Create a compelling vision of where you will be in the future. Think about what needs to be accomplished tomorrow. Think about your achievements of the days past. All of these thoughts help strengthen your resolve. Typically foods that are boxed or bagged are highly processed. It is common for these foods to contains sugar, fats and salt. The 3 things you want to be trying to avoid when losing weight. There will be times when you are exposed to unhealthy foods. You must have the presence of mind to be able to stop and think about how eating this food may sabotage your results. This is where subconscious reprogramming really helps. You put in the time listening to audiobooks such as those in the Weight loss Motivation Bible and when the time comes that you are exposed to the temptation you will have the inner strength to resist. You won’t’ have to think about why you shouldn’t eat it. You will just have a deep sense of knowing that you won’t. Drinking water can help your body feel full. A glass before meals may help prevent overeating. Cold water is also reported to increase your metabolic rate so it’s a win win situation. Keep enjoying your favourite foods in moderation. You don’t want your diet to be too restrictive. However, you must set realistic expectations of how often you can afford to eat your favourite foods without sabotaging your fat loss results. Look forward to your favourite meals. Enjoy it but then be sure to get back on track to shed more of that stubborn body fat. Yes nuts are high in calories but they also keep you feeling fuller for longer. Scientists are yet to fully understand why nut consumption doesn’t tend to lead to weight gain. It is currently believed that the fats in nuts may not be actually processed by the body. Research at the University of Michigan discovered that men who added 500 calories of peanuts to their daily diet gained no excess weight. Sure there are excellent rapid weight loss programs out there such as the 3 Week Diet which promise rapid fat loss of up to 23 pounds in 21 days but you must remember that eventually your fat loss will plateau. Rapid weight loss diets are a great way to shift the dangerous belly fat quickly but then you need to find a realistic and sustainable plan that will help get you to (and keep you at ) your dream weight. 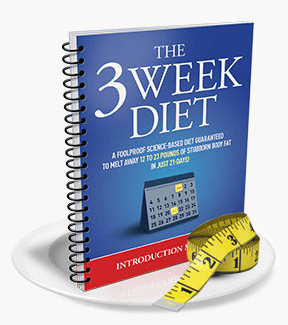 Best selling rapid weight loss diet “The 3 Week Diet”. Click image to learn more! Substitute sweet soda and fatty meals with healthy fruit and veggie juices. Juicing can be a great way to get an abundance of vitamins and minerals in your diet. If you utilise juicing plans such as the super popular “Juicing for Fat Loss” program you will learn just how easy and enjoyable juicing can be. This program does a fantastic job of helping you incorporate high fiber foods into your juices which help you stay fuller for longer. Learn more about Juicing for Fat Loss! Research has revealed that obesity rates are around 40% lower in people who eat breakfast regularly, compared with those who do not. It is believed that a morning meal helps regulate insulin levels making you less likely to overeat later on in the day. There is an abundance of fat burning pills on the market. Some are ineffective and others are downright dangerous. Fat burning pills basically turn you into a 24/7 fat burning machine by helping you increase your metabolism. Always choose a fat burner that is backed by strong scientific evidence and has a proven track record. We recently reviewed one of the world best selling fat burners (Phen Q) on our site. You can read our review here. Our readers also find the Garcinia Cambogia Extra 2 in 1 fat burner pill review very helpful. Hopefully you do too! Read our review of the fastest selling fat burner pill GCE! Be aware of what triggers you to feel stressed in your life. Take the time to learn how to overcome stress in these situations. Creating a sense of mindfulness through deep breathing, meditation and visualisation are some of the best ways to deal with stress. Thank you for taking the time to learn how to lose belly fat. Hopefully you have picked up a few tricks that will help you achieve your fat loss goals. Remember to refer back to this page now and then. Please like and share this page if you found it helpful. If you have any tips on how to lose belly fat we would love to hear your ideas. Please post a comment below. We would really appreciate your input. I’m sure our valued readers would also appreciate your feedback. Good luck on your fat loss journey. Take it one step at a time and big things will happen. You will do great! Next: Can you really lose weight without exercise on Fat Diminisher System?